As the fair-weather Red Sox fans begin to tune in for the end of the season, they might have a little trouble telling the vociferously bearded players apart. 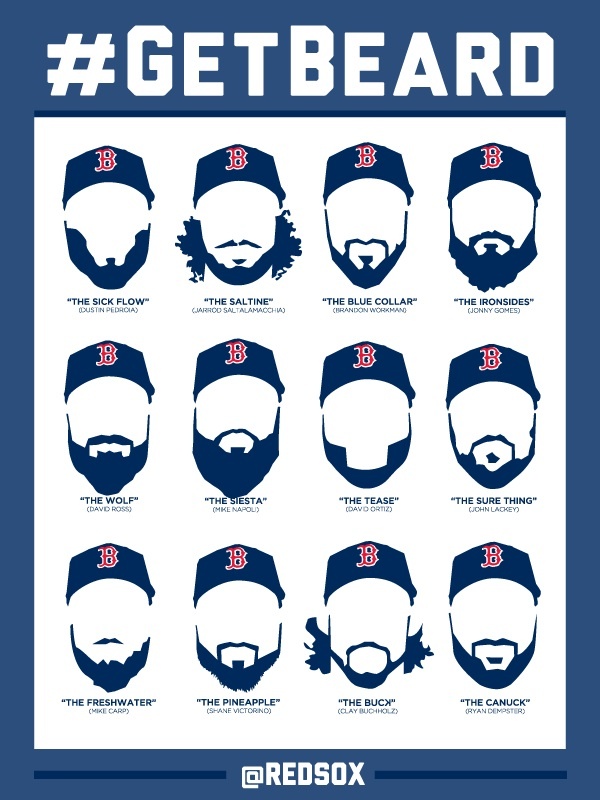 To help the September newcomers out, the team has actually released a guide to the various beards. The Red Sox’ fun with facial follicles started innocently enough when Napoli and outfielder Jonny Gomes grew beards during spring training. It became something more than a fad when Pedroia, a second baseman and one of the team’s most popular players, joined Napoli and Gomes in taking a sabbatical from shaving cream. There was suddenly the sense around the clubhouse that beards were not merely a fashion accessory but a way to build stronger bonds after the Red Sox’ struggles last season, when they lost 93 games, finished last in the A.L. East and bid adieu to Manager Bobby Valentine.